All the info you need to know about Coron and Calamian Islands. Famous for both historical and environmental treasures, the Calamian Islands (or Calamianes) have started making a name for itself in the world of tourism as one of the Philippines’ best island destinations. With its crystal-clear waters, pristine beaches and abundant marine life, Calamian Islands are the perfect destination for scuba divers and snorkeling enthusiasts. 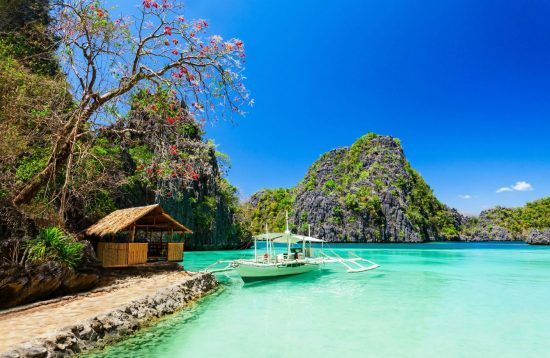 The Calamian Archipelago includes Busuanga Island, Coron Island, Culion Island, Calauit Island, Malcapuya Island, Banana Island, Pass Island, Calumbuyan Island and several minor islets. 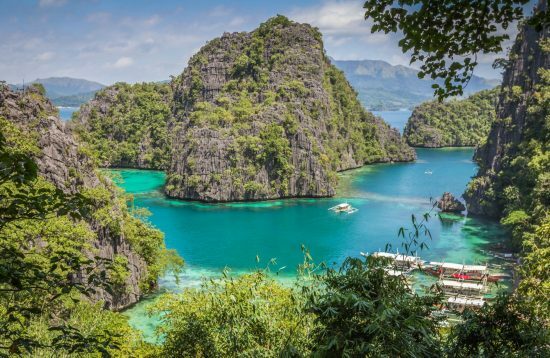 Coron is one of the islands that make up the archipelago, but its dramatic rock formations paired with the deep blue lagoon and barrier reef make the island a postcard-perfect destination. Malcapuya Island: a piece of heaven on earth with glistening white sand, palms, and clear water. Kayangan Lake: an hidden gem with lush vegetation and unbelievably crystal clear waters. The lake is surrounded by majestic limestone walls. Twin Lagoon: spectacular blue water lagoon encircled by limestone cliffs. You can swim through a hole in the rock wall to reach the second lagoon. Sunken Japanese Wrecks: the highlight of scuba diving in Coron. There are two shallow gunboats that are great for snorkeling too. Coron and Calamian Islands can be visited all year round. The best time to travel is during the dry season between November and early May. This is also the tourist’s peak seasons when the hotel rates are generally higher. If you travel from June to September, it’s possible that you might encounter some storms particularly in July and August. These storms may last for a few days. Coron and Calamian are rarely hit by typhoons. -2GO Ferry: 2GO Ferry operates twice a week sailing from Puerto Princesa to Coron and vice versa. -Flight: Air Juan operates a direct flight from Puerto Princesa to Coron. The flight takes less than one hour, and the airplane directly lands to the Busuanga Airport which is 16.6 kilometers away from Coron downtown. -Fast Ferry: There are a couple of Fast ferry companies that operate daily sailing from El Nido to Coron and vice versa. The crossing takes approximately 3 hour and 30 minutes / 4 hours. -Flight: Air Swift operates a direct flight from El Nido to Coron Busuanga airport with light aircraft. This flight is not daily. -Flight: Air Juan, Skyjet, Cebu Pacific, Philippine Airlines operate direct flights to Coron via Manila, Boracay, and Cebu. -Ferry: 2GO Ferry: 2GO Ferry operates twice a week sailing from Manila to Coron and Manila and vice versa. Combining pristine beaches and awe-inspiring landscapes 4-day Essential Coron Tour Package highlights the most popular attractions of Coron. 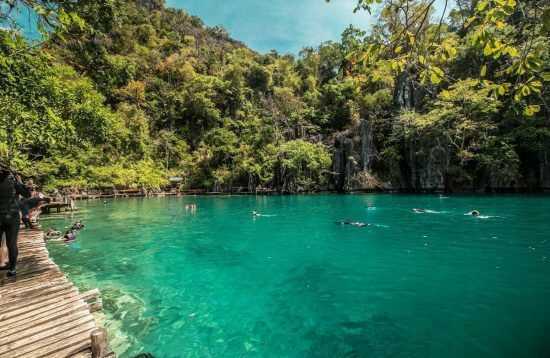 The town of Coron, which is about 40 minutes away from Busuanga airport, is the most convenient jump-off point for diving and island hopping tour. Most accommodation concentrated in Coron town ranges from budget to mid-range. On the nearby islands there are diving resorts and a couple of exclusive five-star resorts. Corto Del Mar Hotel is ideally situated 6-minute drive from Mount Tapyas in the heart of Coron Town, close to many good restaurants. Two Seasons Coron Bayside Hotel is currently the best accommodation in Coron town. It’s located along the main road, short walking distance from the port. 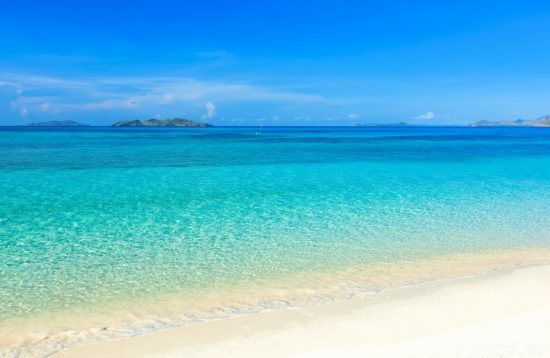 However, if you looking forward to lying on the beach all day, the best options would be to stay in one the resorts on the islands such as Two Seasons Coron Island Resort & Spa and Huma Island Resort.